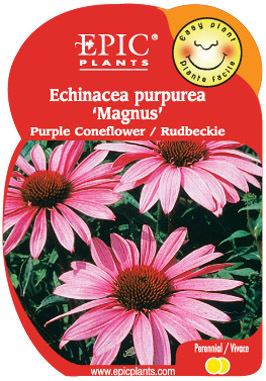 The popular Purple Coneflower with tall, strong stems carrying large, purple-red, daisy-like flowers -- petals more horizontal than the species. Excellent cutflower. Attracts butterflies.